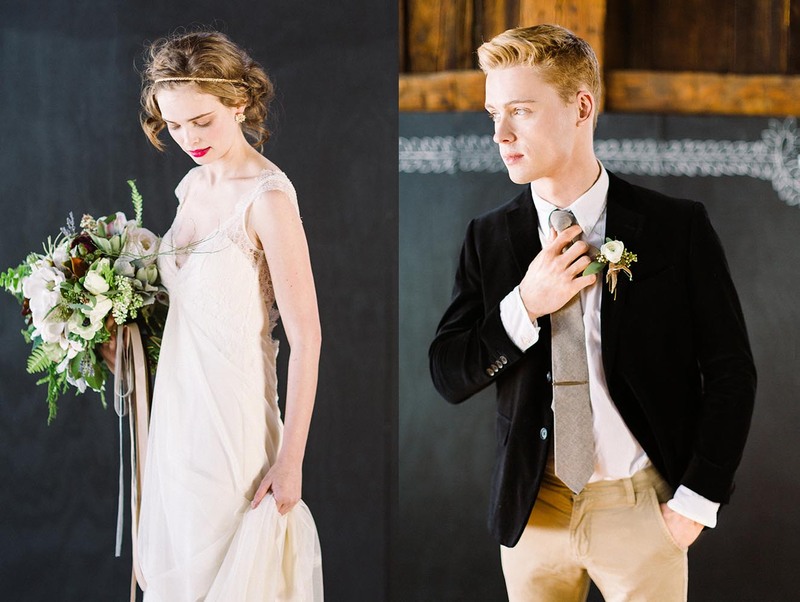 Weddings in the barns at Riverside farm are unique for their combination of the honest rustic buildings that hold them and the elegant chic events they contain. 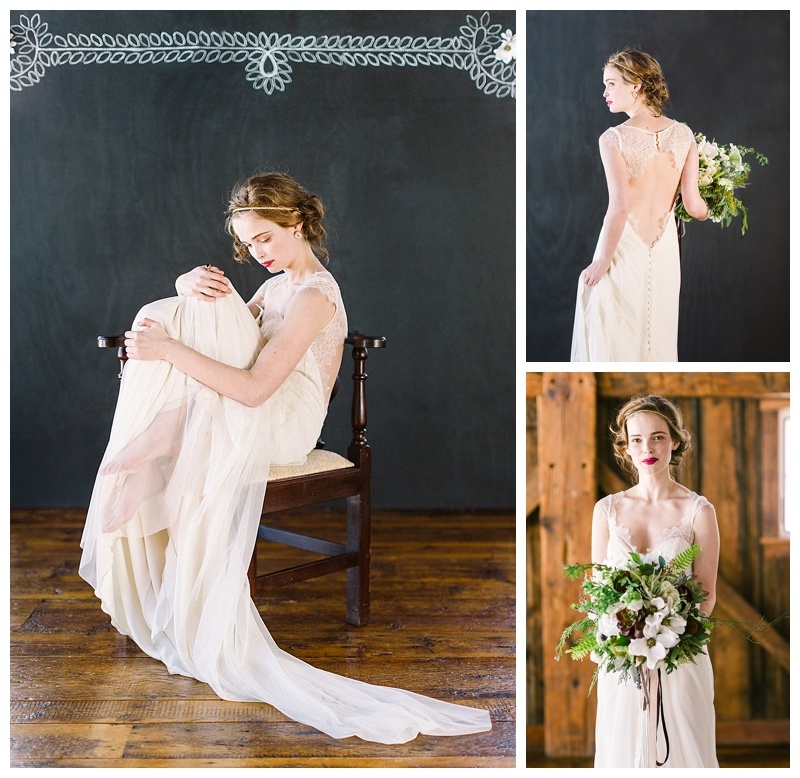 We are always honored when a group of wedding professionals choose our barns for a styled wedding inspiration shoot. 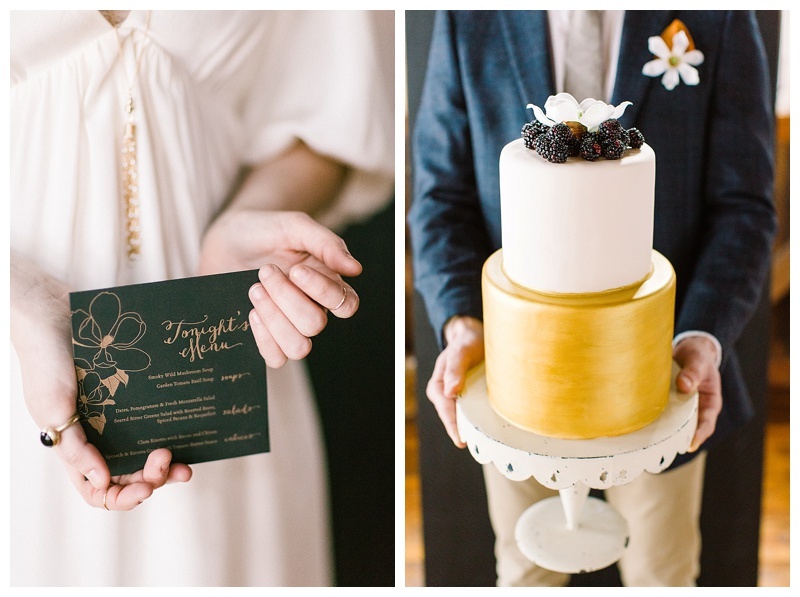 Last winter photographer Christina Bernales brought a team to Riverside to create a Gothic Baroque spin on the Vermont wedding. 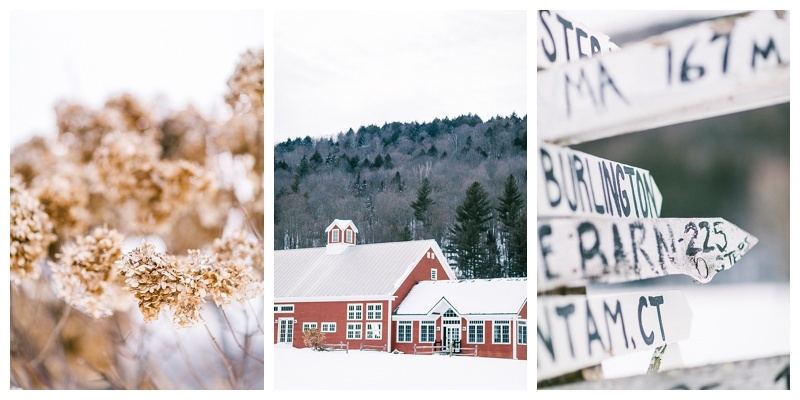 We hope you enjoy her photos and they inspire you to see new possibilities for traditional Vermont barn wedding venues. 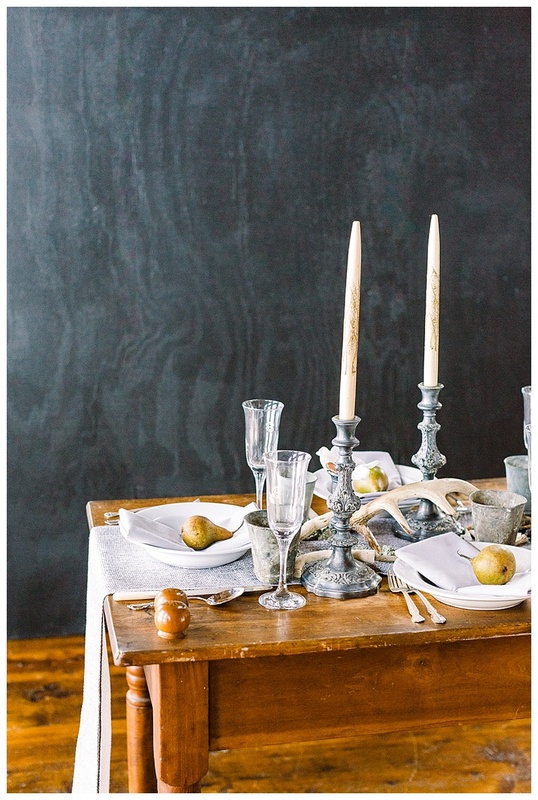 Be sure to scroll down to read Christinas thoughts about the shoot and to see the names of all the artists and wedding professionals that worked together to create these beautiful images. 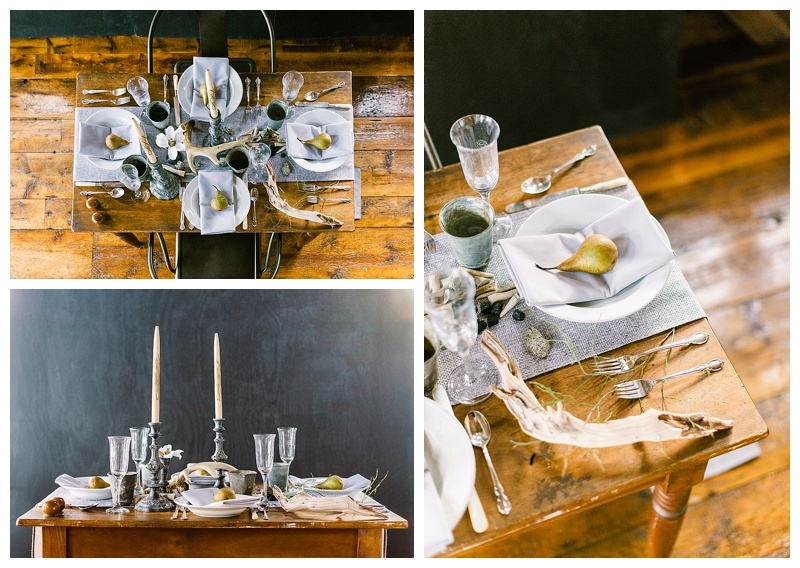 “Our main goal for the shoot was to put a new spin on the “Vermont Rustic Wedding Theme” by incorporating textures and bold dark colors reminiscent of Gothic or Baroque paintings while mixing in elements found naturally in Vermont. One thing people might not notice are the silk flowers we used in the arrangements. Since we planned our shoot in the winter, we decided to give silk flowers a try. Erin was able to mix live and faux florals to put together two stunning bouquets for our bride and bridesmaid.